Everything you need to know when hunting for a second home! You don't have to be rich to buy a second home—but you do need to be smart. 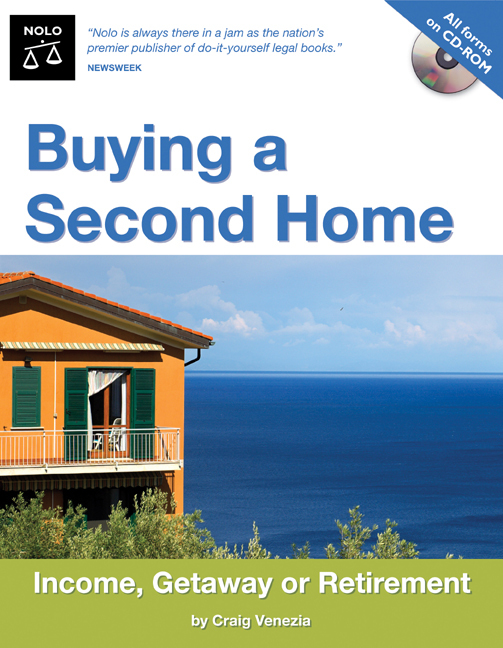 Buying a Second Home delivers the smarts, showing how to make the purchase of your second home a success! The CD-ROM is chockful of handy checklists and custom worksheets that help you make sense of the entire process. The forms from the CD-ROM, are available under the Appendix B of the EBOOK. If you're considering what could be the largest investment you'll make in your lifetime, be smart about it with Buying a Second Home. *The CD-ROM is not included with the digital version of this book.